Jerry Sadowitz - Yes, the man with no visible demograph returns to make you laugh while simultaneously parting you of hard earned cash! 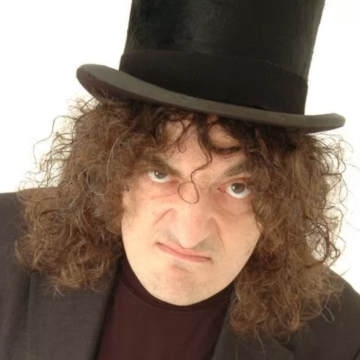 Scottish-American stand-up comedian and magician Jerry Sadowitz is otorious for his frequently controversial brand of black comedy, Sadowitz describes Bernard Manning as “the good cop” to his bad, and believes that audiences going to see a comedian should suspend their beliefs. Affectionately known as 'miserable c**t' to his imaginary friends, Sadowitz is the only comic hardly working today who campaigns against human rights. His television appearances include Love Island, Hard Talk, Michty Me! (still in production) and Loose Stools. He now suffers from Alzheimer's disease and has to watch Netflix comedy specials so he can remember his own material.